The SX mini Mi Class Kit is the first Pod of the famous manufacturer of the Electronic Cigarette Yihi. 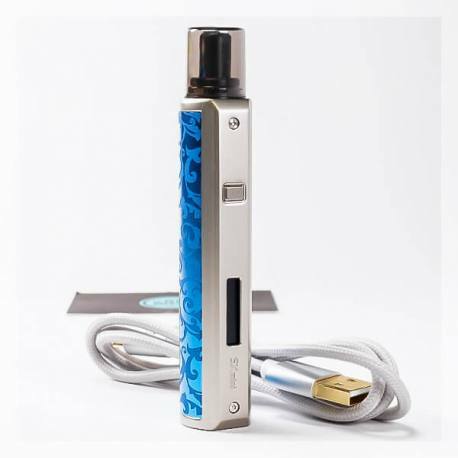 It is designed to be vaped with numerous e liquids, especially those with a high rate of nicotine, nicotine salts and CBD e liquids. The SX mini Mi Class is piloted with the chipset SX290 and is composed of a 400 mAh battery and a cartridge which can hold up to 1.5ml in e liquid of your choice. In this cartridge, a coil of 1.0 ohm allows an output power of 7 to 12 watts (around). This coil is equally constituted in ceramic to have excellent rendering of flavour. The filling is particularly efficient: it is simple enough to unscrew the drip tip. The SX mini Mi Class takes the design and finishes from the famous mods by Yihi. 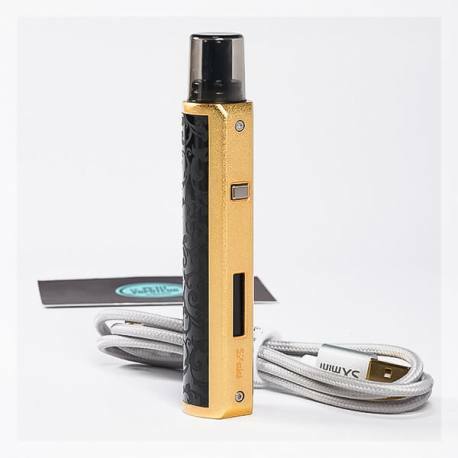 It is integrated with an OLED screen which indicates the charging level of the battery, voltage used by the coil and number of puffs. Compatible Cartridges with the SX Mini Mi Class by Yihi. 1,8 ml Capacity and Coils of 1.0 ohm. The SX mini Mi Class is and Electronic Cigarette type Pod. It takes the atypical design from the SX mini range by the manufacturer Yihi and allows you to vape with class. The kit offers an excellent rendering of flavours and good delivery of nicotine. It must be associated with e liquid which have a high rate of nicotine or composed with nicotine salts. With the SX mini MI Class, the consumed cartridge can be replaced. It has a reservoir of 1.8 ml, the coil is in ceramic of 1.0 ohm and the MTL drip tip is made in resin. The battery is on the side has a capacity of 400 mAh and a recharge via micro USB. To whom addresses the SX Mini Mi Class ? 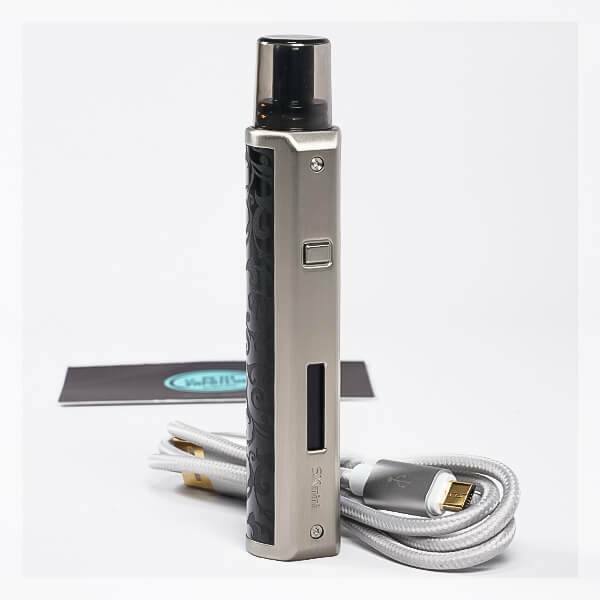 Simple to use and very intuitive, the SX mini Mi Class is convenient for all types of vaping profiles, including beginners. 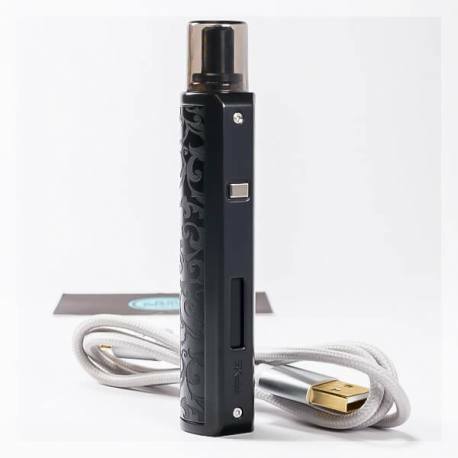 This latest model of the Electronic Cigarette is efficient and is adapted with smoking cessation. 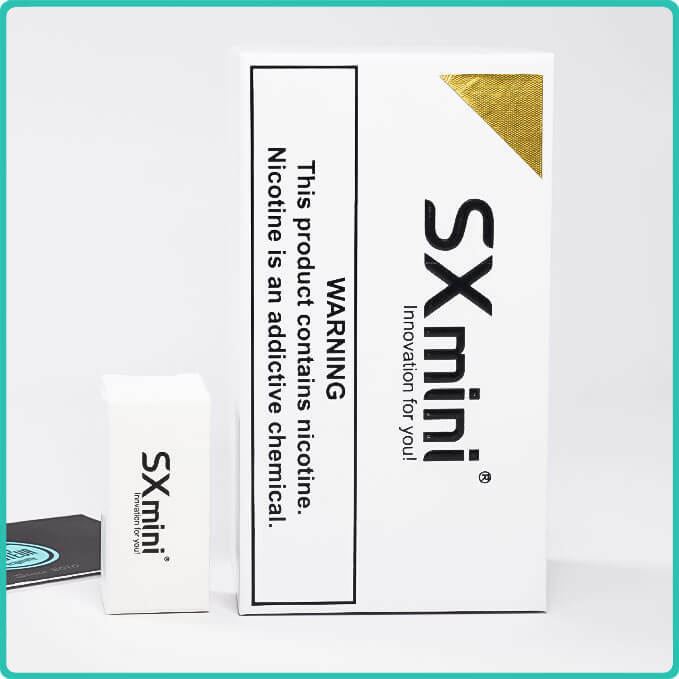 The SX mini Mi Class can also be considered by experienced vapers, as an electronic cigarette close to hand, discreet and nomad. You will find the know-how with by Yihi in this magnificent SX mini Mi Class Kit. Designed in Stainless Steel it has beautiful photochemical engravings. Hidden underneath this design, you will discover the 400 mAh battery which can be recharged via the micro USB port presented on the kit. 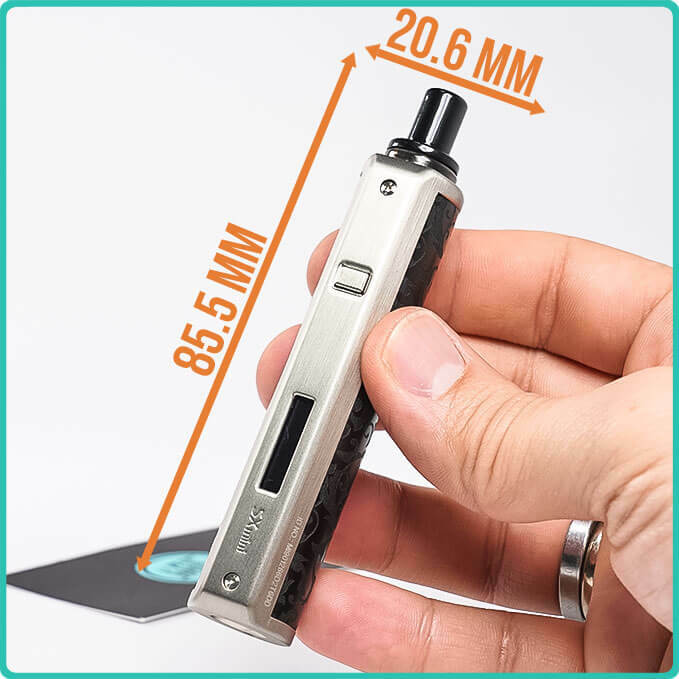 The SX mini Mi Class remains a compact and light Electronic Cigarette which can slide in your pocket or in a small bag without any difficulty. The SX mini Mi Class has a small OLED screen, which is quite rare for a Pod. This small screen is animated by the SX290 Chipset by Yihi, indicating the charging level of the battery, output voltage via the coil and number of puffs. Five successive clicks on the activation button allowing you to regulate the light of the screen or place the Mi Class on the pause mode. The cartridge of the SX mini Mi Class is simply fixed on the battery. With a capacity of 1.8ml, it includes the 1.0-ohm coil in ceramic for vaping in Indirect Inhaling. 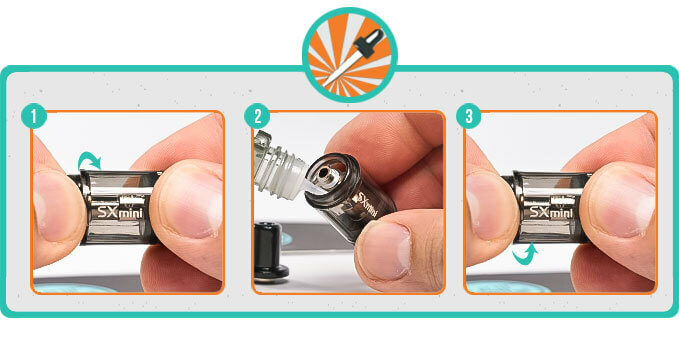 At the top, you can find the unscrewable drip tip which can be easily replaced with another cartridge. The Cartridge and the coil are linked, so the whole set must be replaced when the latter is worn out (around every 2 - 3 weeks). It is generally indicated with a persistent burning taste or an alteration of flavours. To change the cartridge is fairly simple to effectuate, by removing the old cartridge and replacing it with a new one. The same technique can also be used to change the flavours if you have several cartridges with different e liquids. The SX mini Mi Class is made by Yihi. Pod excellent. Proche du high end dans cette catégorie. Vape lisse, bon ressenti. Les saveurs, y compris les &quot;gourmands &quot; sont assez bien restituées. Utilisation simplissime. Totalement satisfait. J'aime le gabarit qui rappel un petit mod tube. L'autonomie pas top, moi perso je n'ai pas accroché. Vape agréable, remplissage facile. Don't forget to buy e-liquid!